There are two cardinal rules in the world of Crypto-zoology: One: Never expect one being to fit into another's hooves (or paws, as the case may be); and Two: The Fabulous need us less than we need them. We are chosen rather than choosing. Once upon a time, when I was all of four years old, I was chosen by a dragon. He romped across the lovingly worn pages and fanciful illustrations of a book I found on our ritual, dusty excursion to the used-book store: The Dragon Green by J. Bissell Thomas (with delightful illustrations by Vernon Soper). This was a wondrous, spiky-wiky Dragon. Fearless from the moment he hatched in the heat of the Kalahari Desert, he grew up curious and proud and funny, irreverent and loyal to a fault. This was a Dragon with more heart than sense and enough love to challenge even the strongest magick. A Dragon of the first order. A Dragon to be emulated. Ever since then I've kept Dragons close, to ward the daemons of the dark with fire and whimsical tales to remind me that there is so much more to the universe than most of us see. And one way or another, this world view has informed much of my writing. That said, I never knew at four that, half a century later, I'd have two books about Dragons under my proverbial belt. Nor did I know that this one, amazing Dragon would lead me to scour the world of fact and fiction, in search of the rare and wonderful. In the course of these wanderings I have found that, as with Dragons, the greatest threat to this panoply of mystical creatures is our own ignorance and disbelief. How better to dispell both than with knowledge and a kaleidoscopic array of visual images? DRAGONS UNICORNS GRYPHONS, ET AL. From "No Dragons in a Teacup"
Though Dragons have too often been vilified and daemonized in art and literature, still they remain in our world. The human experience is rich with cosmological lore, legends, and faërie tales - not to mention authoritative lexicons. All of these make most everyone on Earth - and a few other planets - comfortable picking "generic" Dragons out of a zoological line-up....So, what are Dragons and why are they so important to us? Simply put, in the shorthand of Dragon Studies, they are Magnificent, Monstrous, and Mythic. Of course, Dragons being so much more than other creatures, are also mammoth, magical, and much maligned. Those less kindly disposed towards Dragons would likely add malevolent, mendacious, and menacing. What exactly do such words mean in a draconic context? Are they even accurate? And what do they tell us about Dragons and their place in our world? Despite certain zoological particulars which are at odds with these general perceptions (see The Dragon Keeper's Handbook and Dragons for Beginners for specifics), there is little doubt that they are magnificent. These great creatures are as large as any megafauna and twice as graceful; they light up the sky with fire and command rain from the clouds. 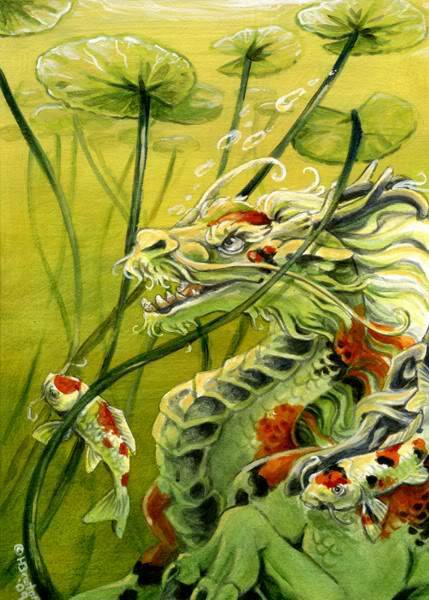 A full-grown European Dragon can reach 75 feet from nasal horn to tail spade, her wings unfurling like great lateen sails eager to billow and swell; mature Asian Dragons have been known to measure 100 feet and shake the earth with a whisper of their passing. Combine this corporeal prowess with mental acuity and nobility of spirit, and Dragons become the poster children for magnificence. Monstrous is a more partisan epithet. The very word is conflicted, its Latin root, monstrum, meaning everything from omen to (traditional) monster to miracle! As such it encompasses Dragons, length and breadth and everything in between. Sadly, we humans like to attribute moral weight to our monsters and bandy the word about to inspire nightmares, fear, and jingoistic furor. When dealing with Dragons, it is wise to remember the words of Andre Gide, "There are very few monsters who warrant the fear we have of them." That said, Dragons are still quintessentially wild with all the light and dark that entails. Dragons are the apex predator, and, though often more reasonable than the humans who pursue them, have every right to defend themselves as they see fit. These monstrous miracles of cryptozoology deserve to be treated with respect and caution, and, most of all, understood. As Melville said, "Ignorance is the parent of fear," and fear makes us do very stupid, cruel things. Cryptic Dragons-as-Monsters serve as a bridge between their dynamic physical presence and the even more ambiguous complexities of their mythic status. Back in the day, Dragons were Creators and Destroyers, gods and cohorts of gods. As our ancestors struggled to survive in the hostile Paleolithic world, Dragons romped and roamed across the landscape, leaving their psychic paw prints on human hearts and minds. They were large where we were small, powerful where we were weak, and as fierce as any creatures of sea, soil, or sky. They were made for myth, for embodying all that was unexplained and mystical in the world. We latched onto them to make sense of that which was beyond words, and, in stories told across the hearthstone, we inflated Dragons to meet our needs. These supernatural creatures stretched from briny abyss to star-pocked heavens, dined on the sun, and eclipsed the moon with the furl of a wing. They were fire and water, earth and wind, the magic of the elements, the rhythm of the seasons. In time, shamans sought them for wisdom, and, to our shame, would-be heroes fought them for glory. Over time, we lost much of the sense of wonder so vital to keeping Dragons with us. Bit by bit, our scaly friends slipped out of the real world and into the mist of fantasy and faërie tale. But out of sight did not mean out of mind and, even in absentia, complex, contradictory Dragons ruled the mythic imagination as powerful metaphors. They've represented everything from the greatest good to the vilest evil. Fortunately, their metaphysical standing not only kept them alive but made possible their resurgence. Dragons-as-Myth continues to be at the heart of their presence in our lives. Which leads us to the Dragons of now. It is a time to embrace all we know of Dragons and all we have yet to learn, to celebrate their natures both physical and metaphysical. I have kept company with Dragons for more than half a century. I have studied, worked with, written about, and adored them. I have read lore and science and the most fanciful of tales. After all that delicious time amongst them, the one thing I know for sure is that you can’t fit all things Dragon into a teaspoon - or even a teacup. Our relationships with Dragons are about as subjective as they come. There are few rights or wrongs, few hard-and-fast rules. In the end, there is only unique personal experience and empirical Dragon wisdom. One person's Dragon is ravenous flesh and bone, and another's is a winged guardian who flits around the edges of the dreamtime. For some, they are loyal, family-oriented beings just trying to survive against daunting odds; for others they are channelers of magic and keepers of elemental power. They teach us how to find balance with nature and remind us, by their raw majesty, that we are here to care for the world, not exploit it. Real and imaginary, learned and wild. Dragons are all of these and so much more. That is as it should be. We've burdened them since the dawn of time with our hopes and fears, our faith and wild expectations. Only beings of supernal complexity and strength could bear up under such a load. Novelist Charles Morgan noted, "As knowledge increases, wonder deepens." 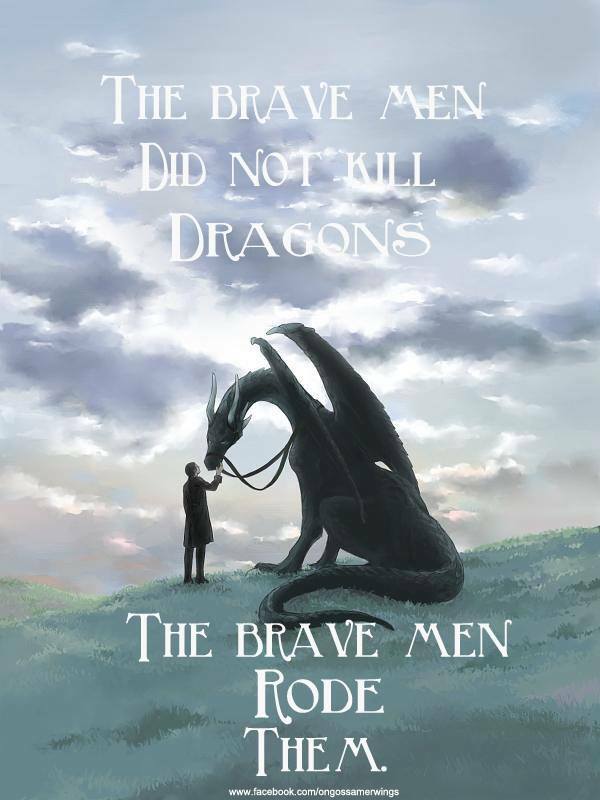 It behooves all who love Dragons to learn as much as we can about these magnificent, monstrous, and mythic beings. To gift our friends, as our ancestors did, with the simple willingness to believe. Then feel our wonder deepen. To those with the eyes to see, 21st-century animal aficionados appear conspicuously comfortable walking (and flying) with Dragons, consorting with sundry Gryphs and Silkes in mews and harbor, even rubbing elbows with Pookahs and Bunyips of questionable natures. You might even say that we live in a time when alternative pets are nothing short of en vogue. And yet, midst this flurry of intra-creature fellowship, Unicorn sightings have, until recently, been rarer than basilisks in February. Should we be surprised by this paucity of Unicorn sign? Saddened, certainly, but not surprised. 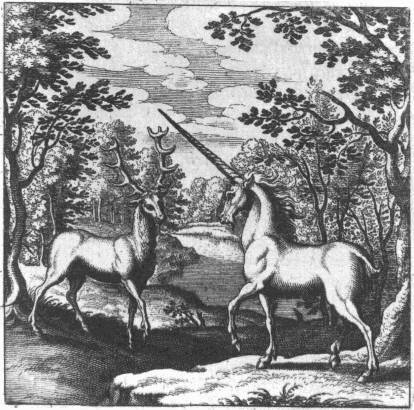 For centuries Unicorns have guarded forest and desert and stream, been consorts to the Divine, and tended the world we've so recklessly abused. Their magick song haunted our dreams just as their forms adorned our cloistered walls. Yet, we closed our eyes to their presence and then dared wonder why we could not see them. 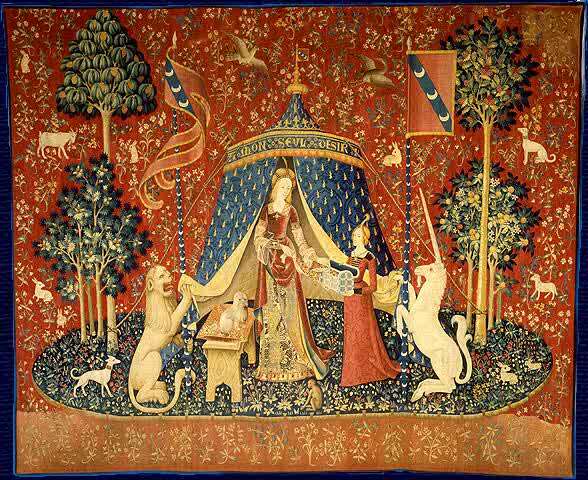 Indeed, modern photos of Unicorns are so rare that most people turn to the recently restored Lady and the Unicorn tapestries in the (Museé de Cluny, Paris) for testaments to Monocere allure. As Dragons will tell you, Unicorns are a civilizing force in an uncivilized world. They heal the waters and the earth and sing like nothing you've ever heard! Though frequently seen alone, they are herd beings and the familial bonds of the Passions (herds) are essential to their health and happiness. Unicorns will be neither penned nor kept, even within a seemingly vast range. As need demands, they will keep to the shadows, hush their lyrical voices to mere whispers, even pass for mundane creatures (as a last resort). Such are their survival instincts in the often hostile, post-industrial world. It's time to make serious amends. Accordingly, it is up to us to step softly into their environs, to create, where we can, new habitats that suit their exigent fancies, and, if we are blessed, to find ourselves in their company. It is not an easy process: so many misconceptions mud¬dying the waters on both sides; so much distrust still to be overcome. Yet, in the end, the mere prospect of Human/Unicorn camaraderie makes all our efforts worth¬while. Nibbling on moonflowers and the occasional cloudberry, she is a surprisingly imposing sight. A little less than 15-hands high, she’s delicate yet majestic, her intelligent head set upon a graceful, maned neck, her leonine tail flicking in rhythm with the cicada chorus; and spiraling from her brow, a single magnificent horn. Stand very still; marvel and smile. You are in the company of a Unicorn! The cryptozoological kingdom is as wild and varied as the world. Every crag, cranny, and briny pool of the imagination, holds creatures strange and unusual, and their number are growing. Some are gods; some are daemons. 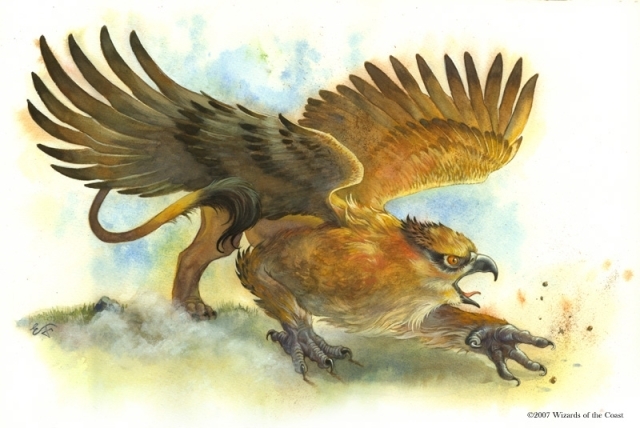 Some are hybrids, like gryphons and the more unsociable manticore; some are more mystical, like the silke. Though the information on many of these beings is annecdotal at best, I am continually amazed by the depth of the footprints they have left across our human gestalt.